The sidenav is a list of links, used for navigation. 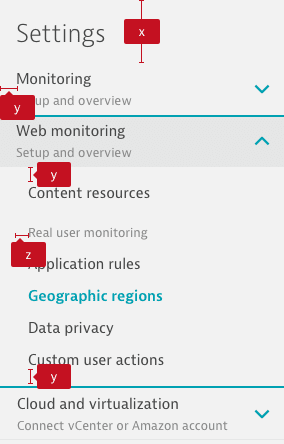 In Dynatrace it is used for settings views. 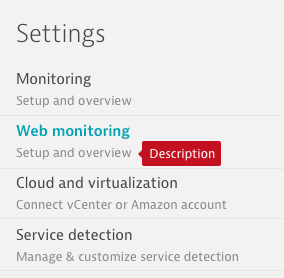 It can show multiple levels of menu items. 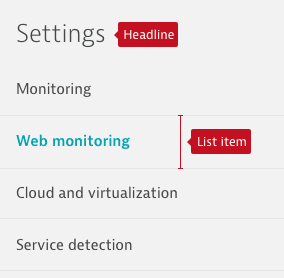 Therefore, menu items are grouped together in an expandable section. Sidemenu items can&apos;t be disabled. The sidemenu items can have an additional description. 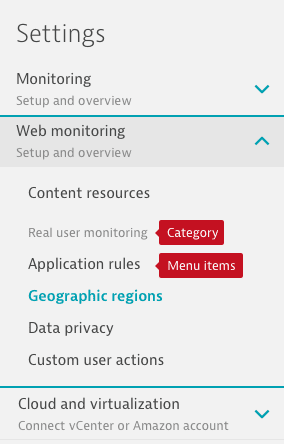 To show up to two levels of navigation, the menu items can be expanded.